Between 2014 and 2015, the real estate market has been fluctuating quite a lot. The stock market is slowly but steady stabilizing, and the main reason for that has to do with what has been happening with the economy and the world of business. The bad news is investors are confused by what’s going on. They’re still unsure whether this is a good time to invest or not. Real estate investing is an industry that seems to be metamorphosing. Even though international investment restrictions have been deregulated as of November 2015, the sector didn’t witness any results thus far. Most foreign investments are largely structured via debt investments, which can either be equity or debt oriented. In spite of their inherent benefits associated with security creation, the government has been quite harsh with secured, foreign or domestic investors. To sanitize the industry, several key steps should be implemented. This way, it will be on par with foreign standards as far as delivery, commitment, and quality is concerned. 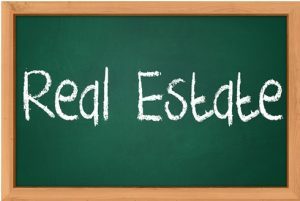 A Real Estate Regulation Act was recently released, and it looks like it will be put in practice in the upcoming year, thus giving investors more confidence to invest and trust that the real estate industry is worth considering to diversify one’s portfolio. The benefits are vast, although investors must examine financial arrangements very carefully. Even though some things have compelled the market to go down, mutual funds and blue chip companies haven’t dealt with a lot of challenges. When it comes to manufacturing, the government has been pretty clear in providing crystal-clear guidance. 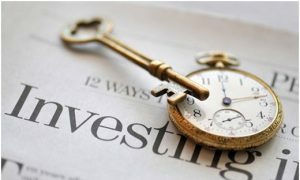 It might take some time for investors to fully grasp what’s been happening, but sooner or later they’ll gain momentum. Lots of investors don’t believe pure equity funds are worth considering, and that might be because there are certain risks associated with them. Therefore, the only thing that they can do is search for a less risky path while also taking advantage of the market’s partial movements. Balanced funds are all about investing a part in debt, and the other in equity. As the market fluctuates, the equity might move up and down. As for the debt part, in often cases it is consistent and provides regular returns. Bonds can also be considered risk-free. When provided by the government, they’re safe to invest in because there’s no payment default. In case something happens, new notes can always be reprinted so as to pay bond holders. In terms of corporate bonds, those that are provided by corporations with sensible business models are the most preferred. The risk is small and the investor may lose money only if the companies goes into bankruptcy. Before making any investment in bonds, it might be a good idea to check the rating first. All qualified bonds are rated by specialized agencies, thus helping potential investor make the most reasonable decisions. It’s no secret that the real estate industry is booming. Increasingly more investors look to buy property to rent or flip. But then again, you can’t really afford to take foolish risks. Before renting a type of property, you have to assess the location. Then you need a target audience, and last but not least, you should have a business plan set in place. The exact same thing applies to flipping. The concept of flipping a house involves buying and restoring a property with the purpose to sell it afterwards at a higher price. Once again, you need to choose your location carefully. Aspiring investors can afford to think big. They have capital to search for the best villas for sale in Kalkan, for example. To them, making international sales helps them build a reputation overseas. But if you don’t have the cash you shouldn’t risk it as you might end up in debt. New investors should be extremely careful when spending money. Whether you choose to invest in bonds, equities or real estate, the key is to do whatever’s needed to increase your initial investment. This means you need to be patient, spend smart, and steer clear of shaky offers that seem too good to be true. It’s no secret that the real estate industry is booming. Increasingly more investors look to buy property to rent or flip. This entry was posted in Real Estate Investing and tagged Flipping a House, invest in real estate, Real Estate Industry, Real Estate Market, Real Estate Standards. Bookmark the permalink.